The speaker opened up his topic by phrasing the term ‘Bilingual’ as a product of colonization enforced in Tibet and chose to speak on Chinese bilingual education before speaking on Tibet education policy imposed on Tibetans. He went along with in-depth Chinese history dating back to 1947 when the communist took over and the Cultural Revolution in China flourished. During that time, Mao Tsedhong introduced the Quality education(1950s-1960s) with an objective to avail communist ideology amongst all the people in China. Instead of bringing up the quality or skilled labours, Mao tried to impose his communist ideology ideas so that he can gain more support from the masses. Later in 1980s Deng Xiaoping found lots of ideas and policies of Mao Tsethong that have defaults and had tried to introduce more Quality Education to bring up more skill labour via which they can develop the Chinese economy. With these, the speaker had given a glimpse of the early stages of Chinese development. Further concentrating on Chinese education, the Han Chinese education system focuses on to build up all the Chinese offspring for the development of the Chinese government. 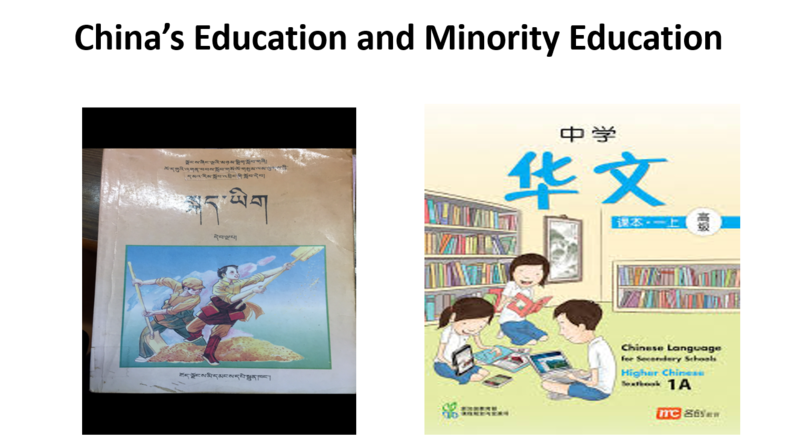 On the other side minorities like Tibetan, Mongolian and all the other minorities educate their children with an expectation to build up a feeling of belongingness to their motherland. There are two different education systems, where the textbook picture of the institute itself talks about the Social realist. The Tibetan has to go along with the communist hard work, peasant and labour whereas the other one in Chinese text mostly formulated to study Han Chinese. When an individual is not given even the space to preserve own language then how can one protect, preserve and promote one’s own language. These articles contradicted with each other. The speaker stated one of the examples to justify his statement. In the first model, he had taken the example of Sichuan. The number of students in the primary school was 16134 when the model one was introduced but when these same students reached the middle school the number dropped because after that they didn’t get the opportunity to learn more. If a student willing to pursue any profession to have better opportunities in terms of job or any other future plans then most of these subjects were only taught in the Chinese language. Parents will force the child to pursue the second model which focus more on the Chinese language. So, nationally the number dropped from 16134 to 3403. In the Tibetan Autonomous Region, only 5.7% of student were enrolled in model one whereas more than 94% has entered the second model where apart from Tibetan all are taught in Chinese. They do have an option to choose the second model where Tibetan is taught in later stages but the subjects related to Tibetan is very limited to secure a job. As highly demanding subjects were taught in Chinese, students opt for Chinese medium schools. 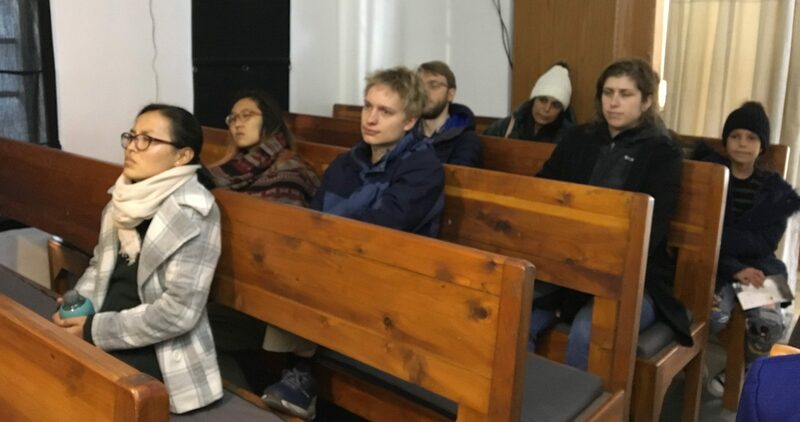 The speaker specified that Chinese claimed that in Tibetan Autonomous Region, the population of Tibetans were more as compared to the Chinese but 95% of publications were in Chinese. The Chinese government claimed that the Tibetan Autonomous Region is the actual Tibetan area where they have given maximum freedom to the Tibetan people. It is that when the Tibetans in the particular area of Tibetan Autonomous Region are not getting the maximum freedom then the freedom in the other part of Kham and Amdo region of Tibet is unimaginable. The speaker later moved on to the bank and other organisation in Tibet. Bank established in Tibetan Autonomous Region discarded the use of Tibetan language unlike in India where English and native language options are available. In Tibet, an individual has to seek Chinese person assistance to open a bank account or to proceed bank related work. Every Chinese bank in Tibet like Tungo Yinghao, Bank of China, despite knowing English an individual can’t open bank considering oneself illiterate in that area. Even the train ticket from Sling to Lhasa (both Tibetan region) is written in the Chinese language. The Tibetan language is discouraged when everything starting from a postal address, bus ticket, train ticket, publication and textbooks were all written in Chinese. Publication of newspaper and magazines are more in Chinese though the number of Chinese dwelling there is lesser than Tibetans. 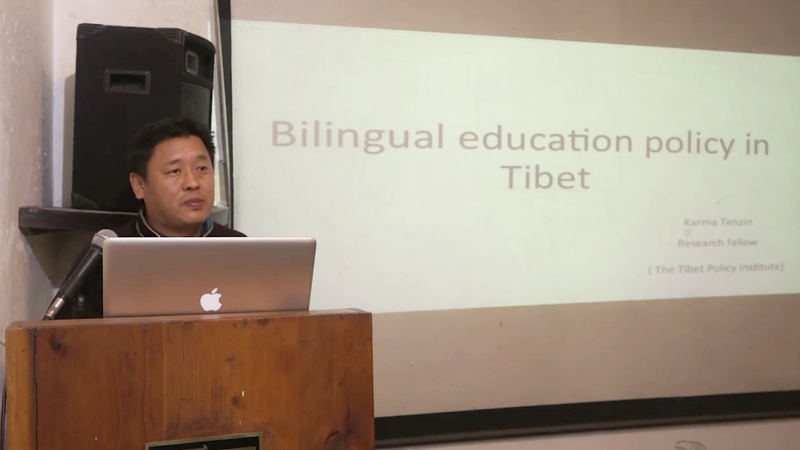 The speaker concluded with his perspective that the Chinese government is brainwashing Tibetans to learn Chinese. It is not that to deliver modern education for Tibetans but to eradicate their root that is Tibetan’s rich heritage, tradition, culture and language so that in later days Tibetan will not be able to read and speak Tibetan. It would be in a way that Tibetans except for their skin tone, they shall turn all Chinese culturally and from all other ways. Enthusiast audience assembled for The Tibet Museum Tibet Awareness Talk Series Program delivered by Karma Tenzin.